Helen Mark reports on new proposals to resolve the battle between fishermen and conservationists over the wildlife-rich waters of the Firth of Lorne on the west coast of Scotland. Helen Mark reports on the dispute between fishermen and conservationists over the wildlife-rich waters of the Firth of Lorne on the west coast of Scotland. 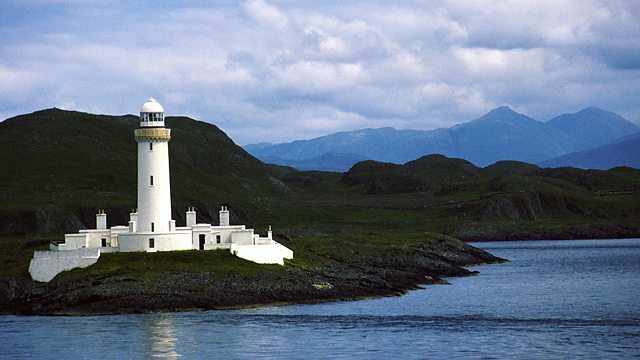 Dotted with tiny islands, the Firth of Lorne on the west coast of Scotland is a yachtsman's dream. Fishermen also covet the Firth's prawns and scallops, whilst conservationists fret over threats to the extraordinary reefs, the sea bird colonies and the whales and dolphins that pass between Mull and Jura. Helen joins local wildlife biologist Tessa McGregor for a boat trip around the Firth, meeting fishermen, farmers and naturalists, all of whom are anxious to reach a balance that preserves livelihoods without further threatening this precarious natural environment. Scallop dredging is currently banned in the Firth, much to the displeasure of local fishermen who have to sail further and into more dangerous waters to bring home a profitable catch. The Scottish government may reverse the ban, but a local diver tells Helen that such a move would cause further damage to the sea bed, the rocky reef and the aquatic life that depends on it. On her voyage around the Firth's tiny islands Helen will also be meeting the local Luing breed of cattle and seeing the beehive huts used by the first generation of Scottish monks.